Soul Pop Singer Pam Feather is the new Soul girl of the Netherlands. Feather (1986) has already performed as the support act for American soul singer Bilal in 2005 and in July this year she was the opening act for Erykah Badu in the Heiniken Music Hall in Amsterdam. And she also performed live in a popular TV show in The Netherlands. 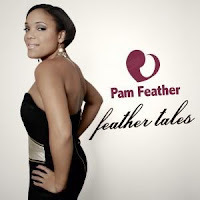 Her latest single "Cannot Change The Weather" is the first official single from her the debut album Feather Tales which was released in March 2010.